One of my friends wanted her child to learn to read when he was 3 years old. I didn’t think it was a good idea, but I can certainly understand why she would want her son to read early. I’d rather observe my children and watch out for signs that they’re ready to acquire the skills needed for reading. You can encourage early literacy while respecting your child’s developmental level and not being pushy. While early literacy may not mean early reading, it does mean children are introduced to reading and its concepts at an early age. This familiarity will foster a love of reading and motivate your child to learn to read. Good writing skills are essential to success in one’s career and in life. Your child will be more likely to perform better in school if he or she has good writing skills. Then when the time comes for your child to find a job, he or she will need good writing skills to prepare effective resumes, business letters, and reports. I have a confession: Ever since I learned about the Roadtrek eTrek, I have had no peace. I’ve been salivating over it. I haven’t been able to sleep. I’ve been overcome with lust for this object of beauty. I’m not one to get attached to material things, but this time, I’ve given in to temptation. It’s virtually a home on wheels, yet not much bigger than a van. And the best part of all: it’s the most eco-friendly RV to date. 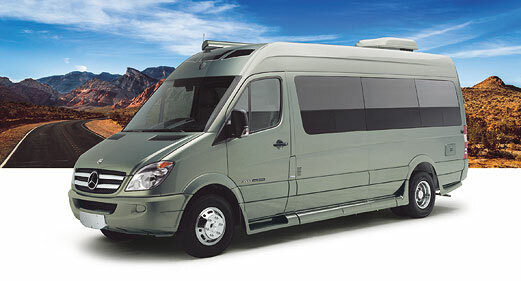 Because the Roadtrek eTrek costs almost as much as our home, I am nowhere near owning one. I rarely buy a product at first sight, but I did when I saw the Herb Fairies Book Club from LearningHerbs. We use herbs and other plant-based remedies in our home, and it’s important for me that my children continue to use them when they grow up. What better way to help them learn about the powers of plants than through stories? That’s why I subscribed to the Herb Fairies Book Club as soon as I learned about it. It’s the perfect resource for homeschoolers and anyone interested in learning more about herbs and nature. In this post, I’m going to show you what it looks like “inside” the club. Stress isn’t a problem only for adults. Children can feel stressed, too, and, just like adults, kids need to learn proper coping mechanisms. Do you know what to do to help your children cope with stress?